"Challenge accepted ! " These words crossed my mind when Zoe (Bake for Happy Kids) approached us to host the Little Thumbs Up event for February 2016. The theme is an interesting one - chrysanthemums and edible flowers. 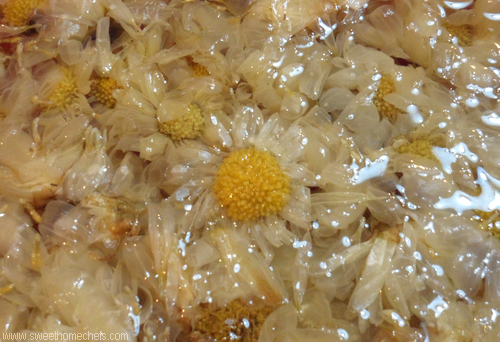 Dried chrysanthemums are fairly easy to find in supermarkets. That makes it a great ingredient to explore. It is said to have many health benefits from helping with the flu, acne, reducing stress levels and improving vision. I was also really keen to work with Blue Pea Flowers aka Butterfly Pea Flowers, but fresh ones were almost impossible to find in the markets I frequent. So, I did the next logical thing. I planted one in the balcony. I wasn't sure how it would work out then but it did. The plant flourished and I had so many flowers that I sun-dried them for future use. On top of that, I planted three more. From this initiative, I learned not only about the various culinary uses of this edible flower, I picked up gardening as well and discovered how easy it was to grow this from seed. That said, a huge THANK YOU to Zoe for entrusting us with this event! 1) Cook, bake or make any recipe using chrysanthemums. It can be the flowers or the greens. The ingredient may be in dried form, a juice or fresh. Alternatively, make any recipe with edible flowers - any edible flower! We're throwing the net wide open here. Either create your own recipe or use what you can find from cookbooks, websites or from your relatives but please ensure that you credit your sources. It's the decent thing to do. 2) Your cooking adventure must be posted within the period of the event. Add the relevant blog link to the linky tool provided below. You may add as many as you wish as long as it fits the theme. 3) Add this note (including the links) at the end of your post. 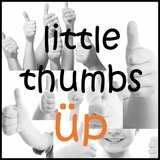 This post is linked to Little Thumbs Up - Feb 2016 which is organised by Zoe from Bake for Happy Kids and Doreen from My Little Favourite DIY, and hosted by Sweet Home-Chefs . 5) Make new friends. Visit other blogs and leave an encouraging comment. This is not compulsory, of course but it is a rewarding experience. 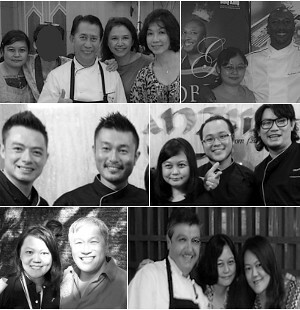 I've made friends with many lovely bloggers and gained so much knowledge about cooking from this activity. Note: This linky tool will be open from 1st Feb 2016 until month end. Awww...thank you Ann, for linking up! Big hug! 'Paiseh'that I'm so late in joining the theme LTU hosted by you. Thanks for hosting the event. Just linked.